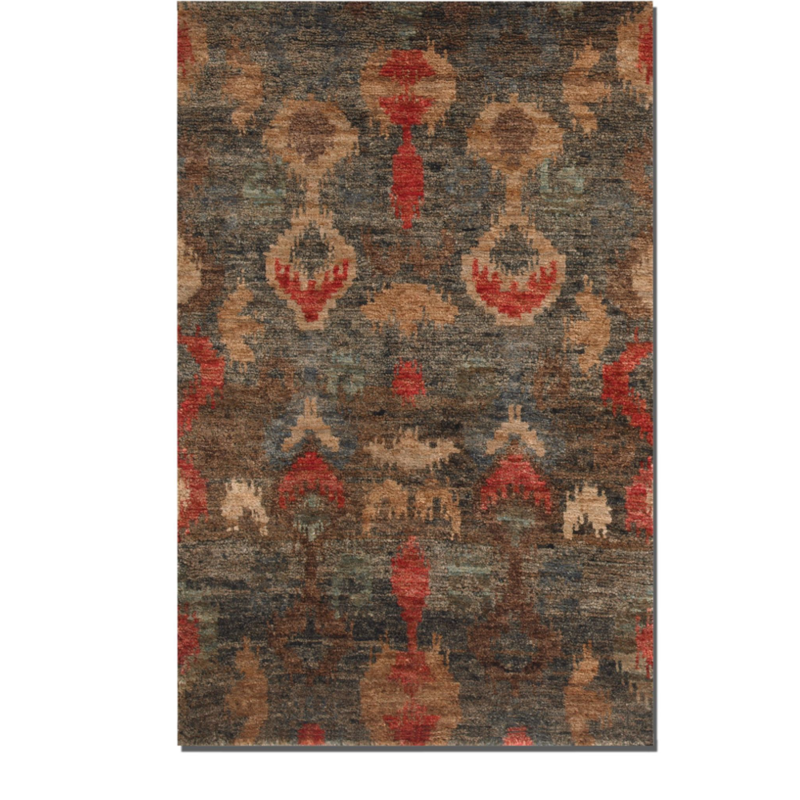 The Ikat Design is hand knotted cut jute in heavily dyed aged charcoal with weathered Blue, Red, Taupe, And Brown details. 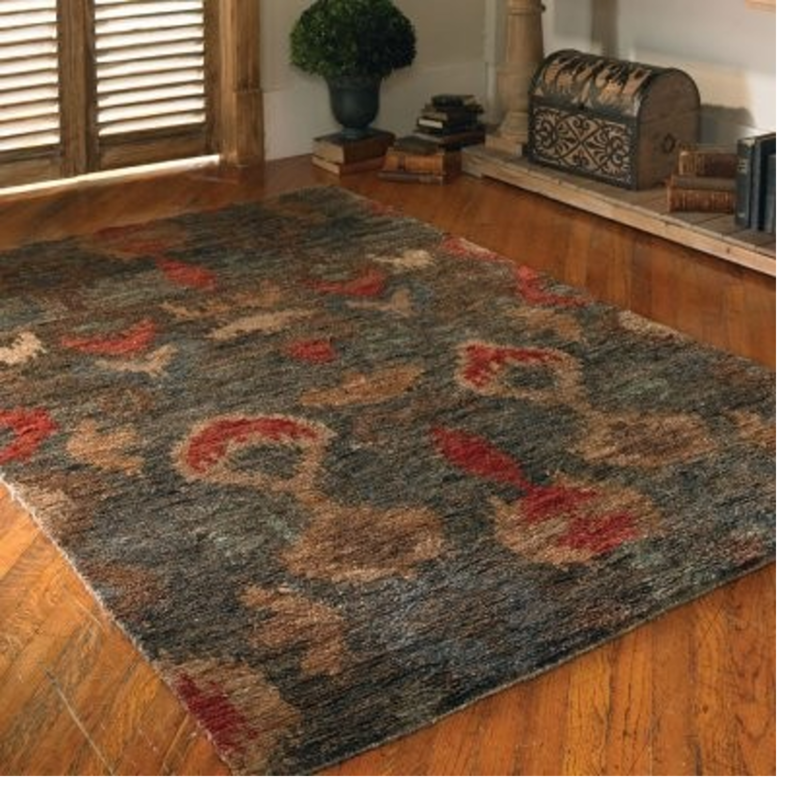 ?These hand woven area rugs are created from jute and made in India. ?The Java Ikat Collection is available in 3 sizes and will make a stunning impression in your living room or dining room decor.